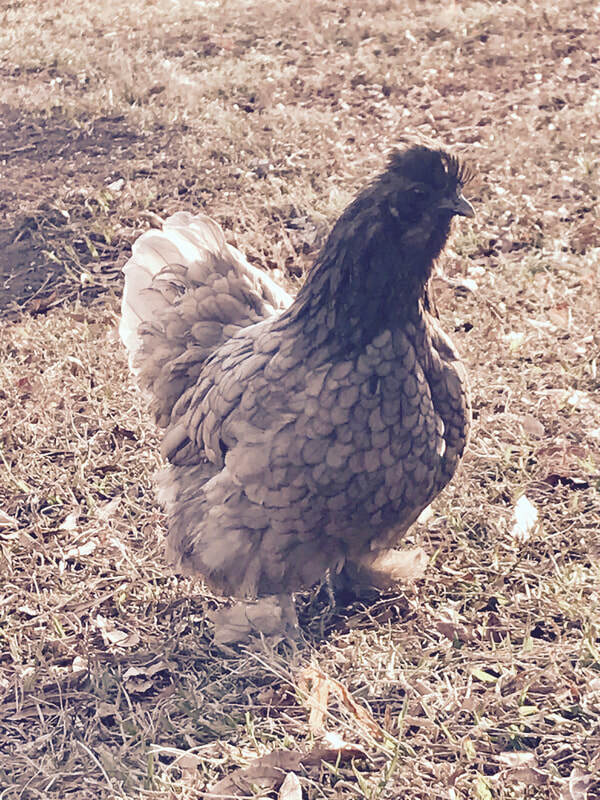 We have a flock of Rhode Island Reds and Barred Rocks (plus one adorable Cochin/Frizzle bantam cross that sneaked into the mix somewhere along the way). I, Jane, take care of them. I feed them non-GMO chicken grain and they spend their days freely roaming on our farm and getting into all kinds of trouble. Except for when dogs are chasing them, they are very happy chickens. The current flock is pretty mixed in terms of origin. 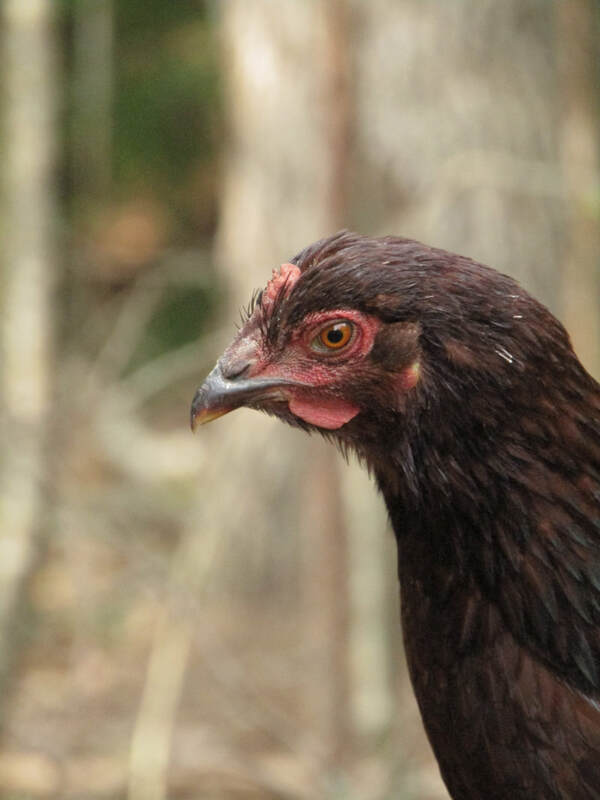 I have a few birds of both breeds from Murray McMurray, some Cackle Hatchery Barred Rocks, and some heritage Horstman's poultry Rhode Island Reds. I have ordered Murray McMurray birds multiple times. The hens lay very well, but unfortunately most of the roosters were extremely aggressive. I now make a point of only ordering hens from them. I hope to never order from Cackle Hatchery again. Though the roosters may be nice enough, the hens don't lay well and I've had some weird second generation issues. I absolutely love my heritage birds from Horstman's. 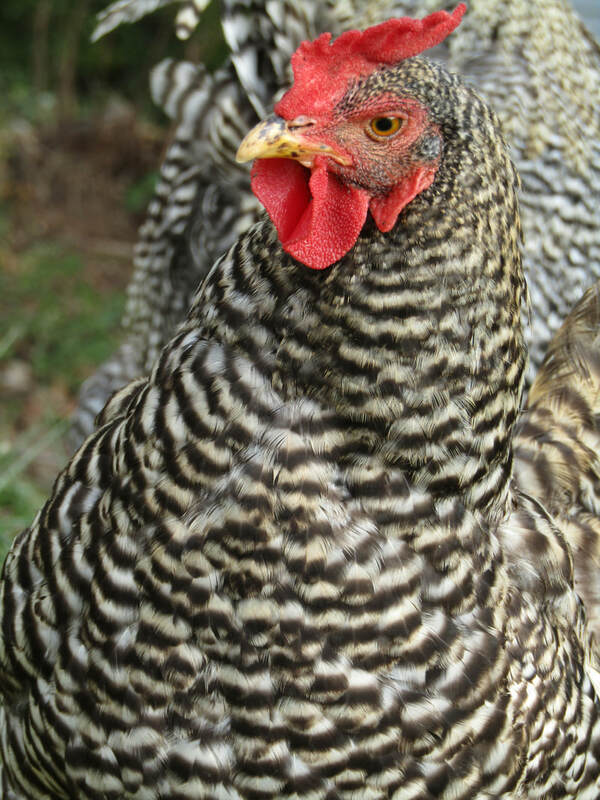 The look gorgeous, the roosters are sweet as can be, and best of all—they go broody!